Brand new for 2018 Game Max have introduced the Whisper Silent ATX Gaming Case. The Whisper is the perfect silent case made from black Steel along with a brushed aluminium effect front panel giving the whisper a professional look. The Whisper comes with soundproofing panels on the front, top and side panels for the gaming enthusiast who wants a cool and quiet rig – the built-in sound dampening matting will keep your system quiet and allow you to hear what you want to be hearing. 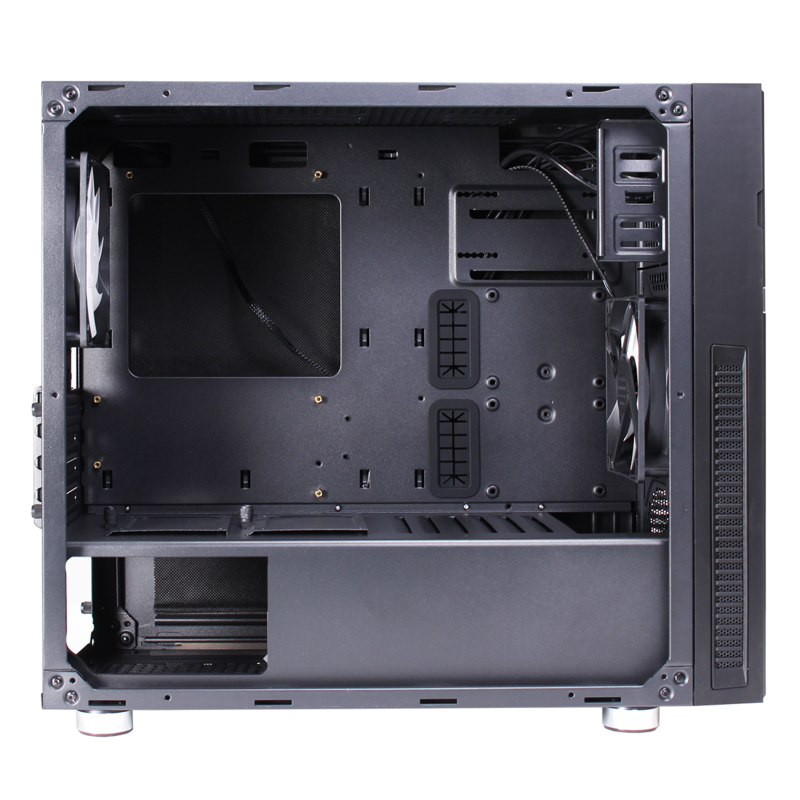 The semi-window left side adds to the cases outstanding design, and allows the gamer to show off there build. It is a compact chassis which not only looks good but the inclusion of 2 black with white bladed fans, 1 x 120mm at the front and 1 x 120mm at the back provide a better cooling performance. Brand new for 2018 Game Max has introduced the Whisper Silent ATX Gaming Case. The Whisper is the perfect silent case made from black Steel along with a brushed aluminium effect front panel giving the whisper a professional look. The Whisper comes with soundproofing panels on the front, top and side panels for the gaming enthusiast who wants a cool and quiet rig – the built-in sound dampening matting will keep your system quiet and allow you to hear what you want to be hearing. 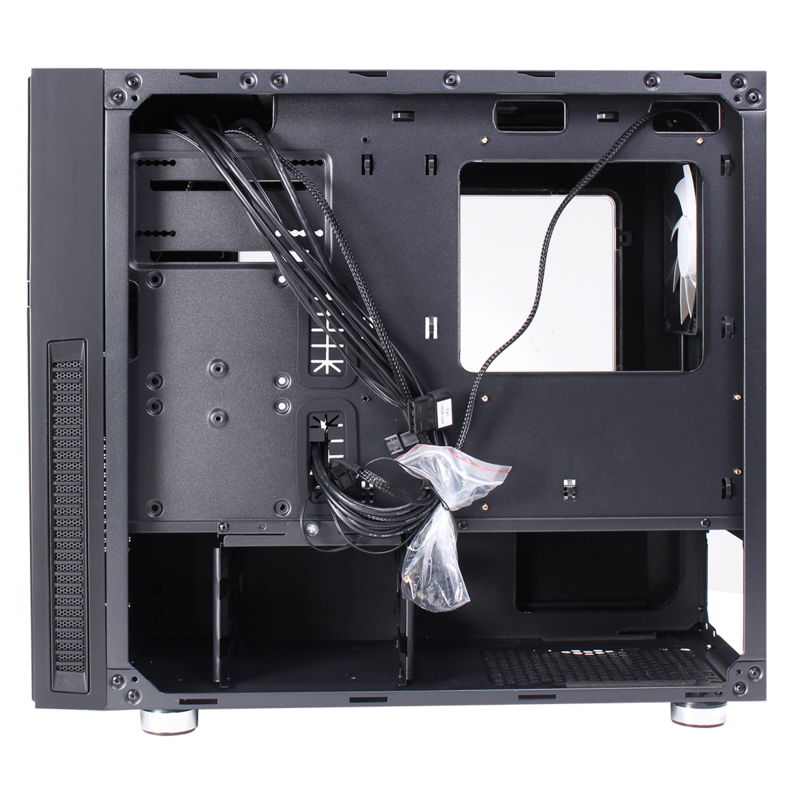 The semi-window left side adds to the cases outstanding design and allows the gamer to show off there build. 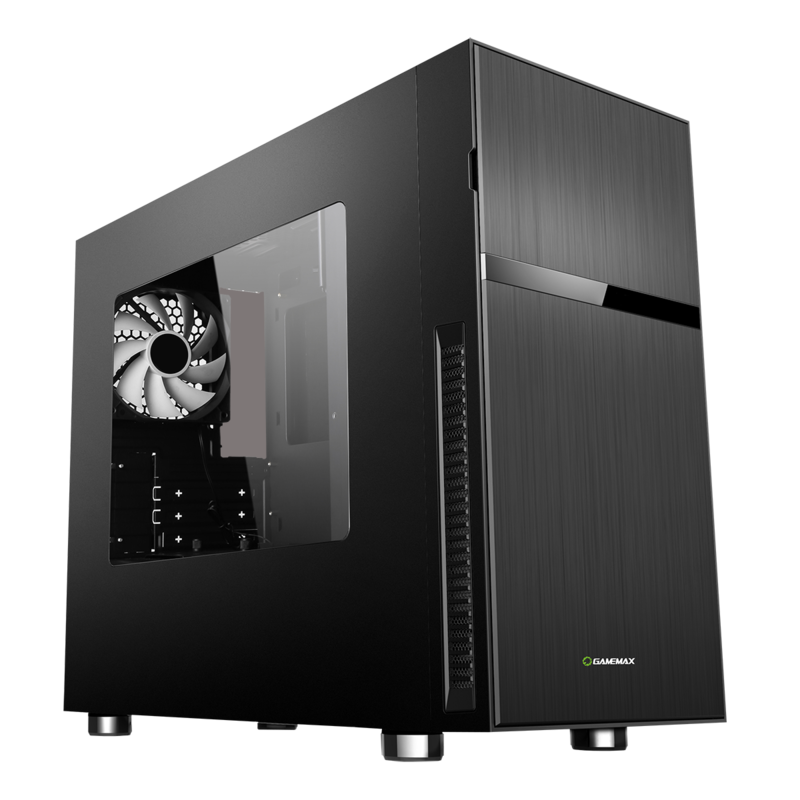 It is a compact chassis which not only looks good but the inclusion of 2 black with white bladed fans, 1 x 120mm at the front and 1 x 120mm at the back provide a better cooling performance. The standard 1 x USB 3.0 and 2 x USB 2.0 located at the front of the case give the user easy access whilst giving the user super speed connectivity when data transferring. In line with the Game Max ethos this case offers style, performance and the ultimate experience. 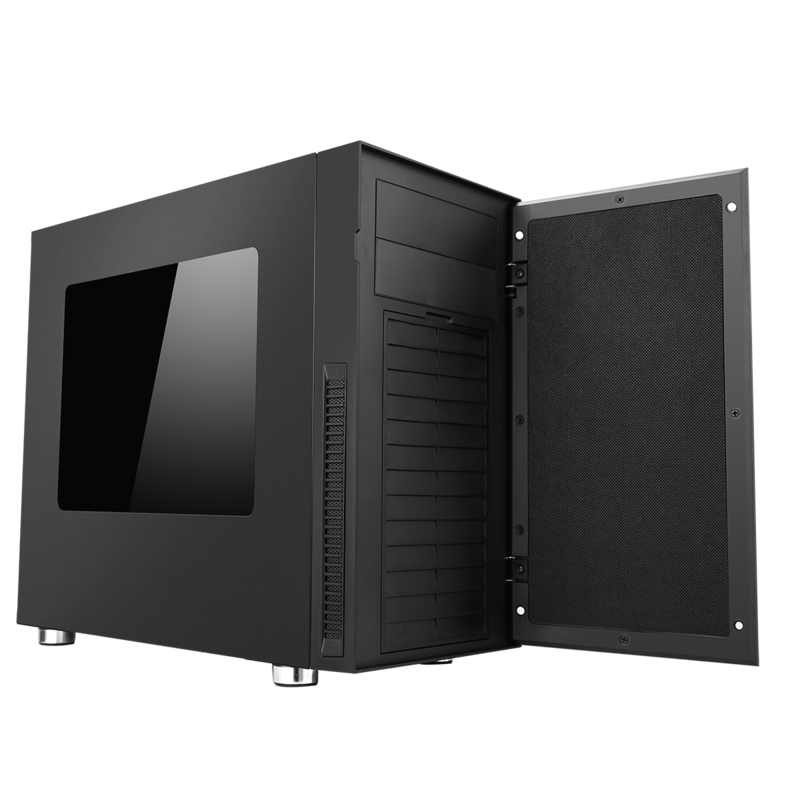 Soundproofing Front, Top and Side Panels – For the gaming enthusiast who wants a Cool and Quiet rig – the built-in sound dampening matting will keep your system quiet and allow you to hear what you want to be hearing. Fans – 1 x 120mm black with white blades silent fan on the front and 1 x 120mm black with white blades silent fan on the back are included to enhance your cooling options. Water Cooling Support – The front supports 240mm radiator, thickness below 62mm, the top supports up to a 280mm radiator (height not more than 23mm) and the back supports a 120mm radiator. Dust Filter – A dust filter on the bottom of the Whisper helps to prevent dust from getting into your build and helps improve the performance of your chassis. I\O Ports – 2 x USB 2.0, 1 x USB 3.0 and HD Audio.